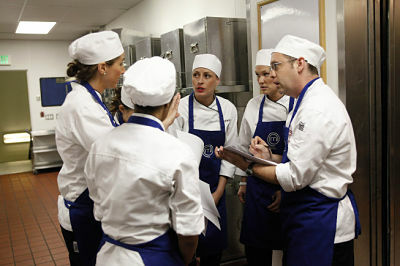 Next week on MASTERCHEF, the remaining 12 contestants are tasked with preparing food for a celebrity cocktail party. No pressure there, right? Among the faces you may recognize at the shindig? 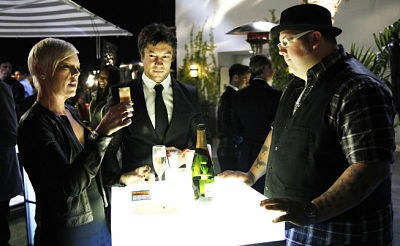 BONES star TJ Thyne (Hodgins), reality star Tabatha Coffey and TV personality Carson Kressley. 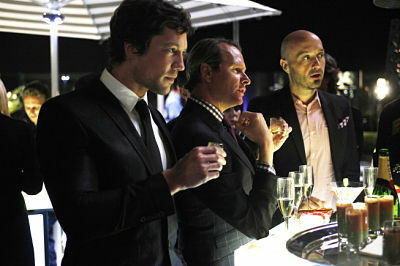 MASTERCHEF airs Monday, July 11, at 9 PM ET/PT on FOX. I’ll DVR it. Monday at 9 is the season premier of Warehouse 13, baby!!! I would not watch a cooking program with Christian, his ego would not allow air wave for any viewers, take him out very soon Chef.